We try and get all orders placed via the website sent out within one shop day of the payment clearing, and wherever possible on the same day. In the event of a delay due to stock issues, we will contact you to explain and give you the opportunity to amend or cancel your order. Ordinary UK and overseas shipping is by Royal Mail standard or aimail postal service which does not provide tracking numbers. If you require a tracked and signed service, you will need to select that shipping option during the checkout. You will then be sent a tracking number so that you can track your order. Wild and Woolly cannot take responsibility for undelivered or unclaimed parcels sent without the tracked and signed service. Exceptionally heavy and bulky items may be sent by a commercial courier service. If you require an express service, please contact orders@wildandwoollyshop.co.uk for details of additional fees. 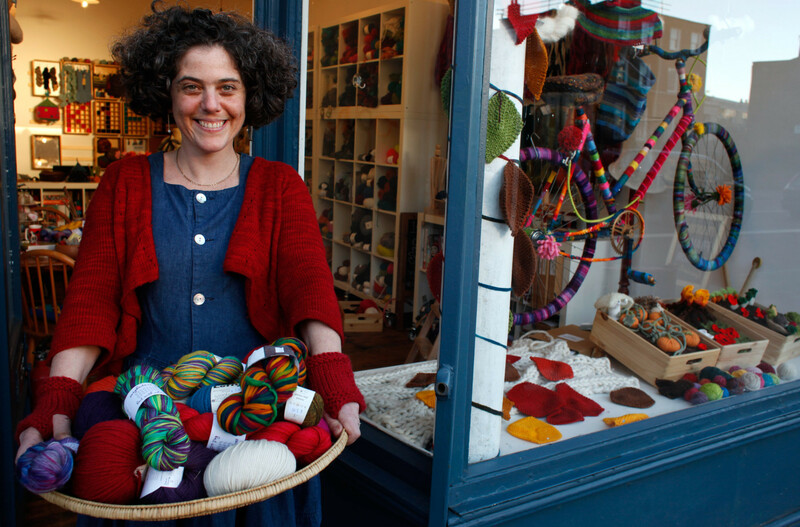 We hope you are happy with your purchases from Wild and Woolly, but if for any reason, you decide they are not right for you, please send them back within 30 days of receiving them, un-used to the shop: 116 Lower Clapton Road, London E5 0QR. Please retain a proof of postage from the Post Office as Wild and Woolly cannot be held responsible for returns which do not reach the shop. As long as we receive your returned goods in a resaleable condition, we will refund the price you paid (minus the postage). Alternatively we can exchange them for something else and send that off to you postage free! If you have any questions or comments regarding returned goods, please email returns@wildandwoollshop.co.uk, and we will get back to you as soon as we can.